Home › Government Failures › Sarah Palin: No Problem with Death Panels, Not Even A Smidgen! 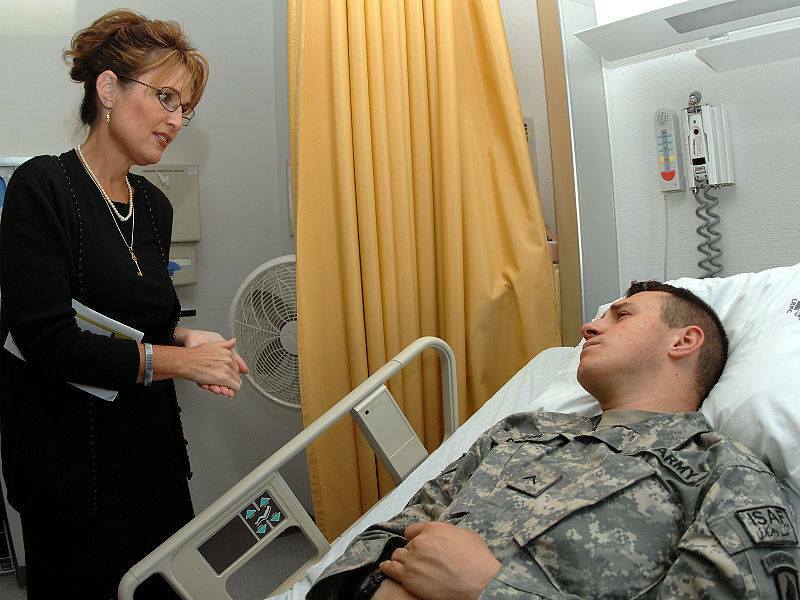 Sarah Palin: No Problem with Death Panels, Not Even A Smidgen! My jury is out on Sarah Palin, but I can at least agree with someone on solid intelligent reasoning and logic, which this post from Sarah Palin clearly is. Most of us, including me, have blogged about death panels back in the early days of O-Care. The Left and Liberals said there is no such thing. WRONG. Typical. Who made the choice in your family to buy a Honda instead of a Mercedes? A Death Panel. Who made the choice to buy the store brand spaghetti sauce and not the more expensive Ragu? A Death Panel. All that a “death panel” really is, is a choice made based on cost. It means that something expensive was turned down and no purchase was made at all, or a cheaper alternative was purchased instead. Healthcare is no different than car and spaghetti sauce sales. Healthcare is a service, and someone has to pay for it. You…have limited money. You…must decide what to buy. You…must choose NOT buy things you want to buy – but can’t. YOU…are your own Death Panel. When the Government runs healthcare, the GOVERNMENT will choose what they will buy FOR you, or not buy, when it comes to your health. Now, were these choices made under private insurance plans? Yes! But under private plans you could pay for more or less coverage, you could switch plans if you did not like the one you had, you could choose NOT to have insurance if you were young and healthy, you could sue the plan if they failed to meet their contractual obligations, for example, getting you taken care of timely. But now the Government IS your insurance plan. The Government IS your Death Panel. They will offer you one level of service…bad. They will offer you one price…expensive. And if you die waiting for a treatment, you can’t sue them – just ask a Vet (at least any of the ones that haven’t died yet waiting for the Government Death Panel to approve their procedure). Oh, and the guy at the VA who just resigned….ha…he was slated to retire this year anyway. Out of all the scandals in Washington, the only thing we get is an old guy “resigning” six months before he was going to retire anyway…and don’t you worry….he won’t lose any of his pension or healthcare benefits. I don’t follow. Under ACA, employers still purchase private insurance as do individuals. Is this post directed at Medicare? I don’t know anything about Medicare plan options, but I know there are lots of options for private insurance on the exchanges and in the employer/group market.